The majority of women post natal or approaching 40 and over make errors in their fitness routines, sometimes by working out too hard, not exercising often enough, by sticking to the same routines for too long or by not being consistent. 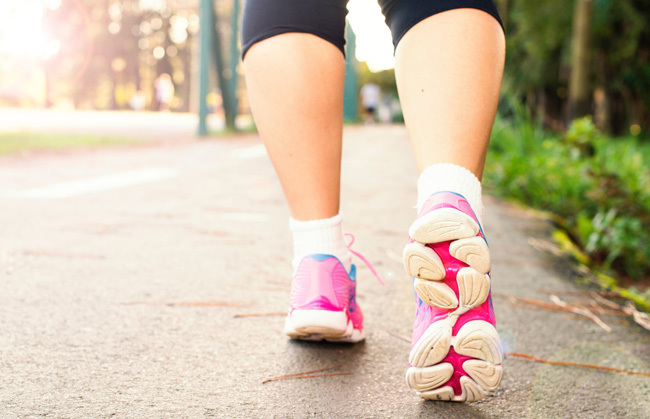 Here are some tips you can take to improve your workouts and how you can get more of what you want from your exercise regime. Yes, less can really be best. For years, the fitness community have thought that low-intensity cardio workouts were the best way to lose weight; studies have suggested that this type of long, slow session took its energy from fat stores in the body. However, recent studies show that there is a direct relationship between oxygen-uptake fitness and fat loss, and that working out for either a long or a short time gives you results. Helgerud et al, proved that four 4-minute runs at almost maximum heart rate followed by 3 minutes of 70% your maximum heart rate (three days a week for eight weeks) gave a whopping 10% increase in heart fitness. In other words, working out for shorter but harder sessions will give you amazing results in less time than working out for longer less intense sessions. Whether you use a heart monitor or not, pushing yourself in your cardio workouts will give noticeable results and will take less time. Of course, if you enjoy long, slow runs you should carry on with these, but maybe try to add in shorter more intense cardio sessions. They wont be easy to begin with, but they will work and you will see results! I suggest you try running (or any other cardio you like) for 30 seconds and then go as hard as you can for another 30 seconds, and repeat… I find that doing this for around 5-8 intervals with a 5 minute cool down works extremely well. Here’s a new rule that’s not quite ‘use it or lose it’ but more ‘push it or lose it’. Pushing your own body weight in exercise will tone you up, rather than building mega muscle; it’s really rare for women to build mega muscles given the hormones that we have anyhow, unless you have a strict diet and fitness regime. Don’t be afraid to do exercises without weights to tone your muscles, especially the triceps and biceps, as well as your thighs and bum. When you focus on correct technique and use your body weight correctly this can have huge effects on toning the body from head to toe! Have a look at my Instagram @niix.fit and Facebook niix.fit for more exercise tips and advice. I can’t stress the importance of being consistent with your exercise programmes, whatever it is, you won’t see the results you want and expect if you are not consistent. If you aren’t sleeping well enough, drinking enough water, not eating the right food or not working out in a planned organised way, you’ll think the advice you’ve been following doesn’t work. But it does… Start keeping a diary and see where you aren’t putting in the work. Trust me, consistency is key! When you subscribe to niix you gain access to 100’s of exercise classes all under 30mins, a 30 day meal plan, a technical advice plan and exclusive content. 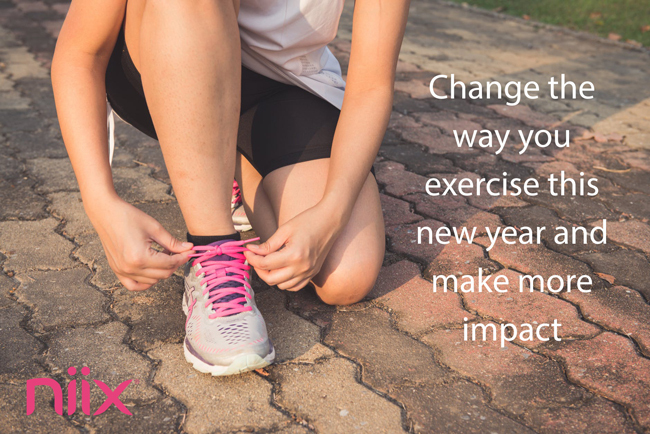 It’s not too late to kick start your January! Nicki Philips is a qualified Pilates, TRX & Barre coach. After 10 years coaching and gathering her credentials she has developed her own training programme, Niix Method, that fuses the best of Pilates with cardio exercises into curated classes lasting 10-30 minutes a day, 4 days a week. Nicki believes that all women should feel strong, fit and confident despite our ever-changing bodies and busy lives. Great results come from creating sustainable, health & fitness habits incorporating good technique. While running her own business, Nicki is also a busy mother of two girls, a step-son, and a sausage dog.